By Melissa Lennig on September 11, 2017 Leave a Comment. This content contains affiliate links. As an Amazon Associate I earn from qualifying purchases. 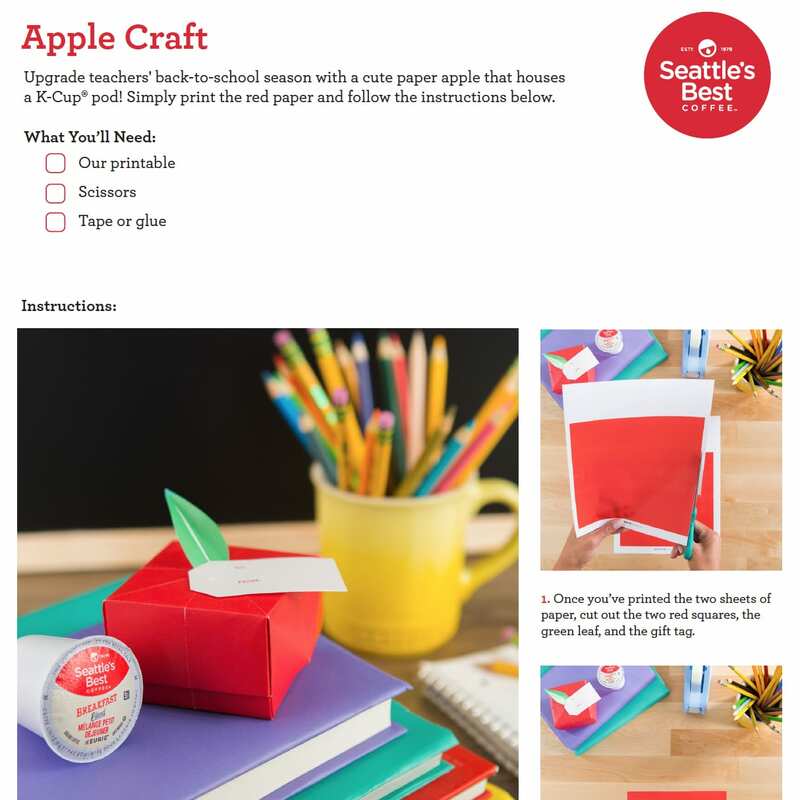 Inside: Welcome teachers back to school with a darling origami paper apple box, designed to gift a delicious surprise. 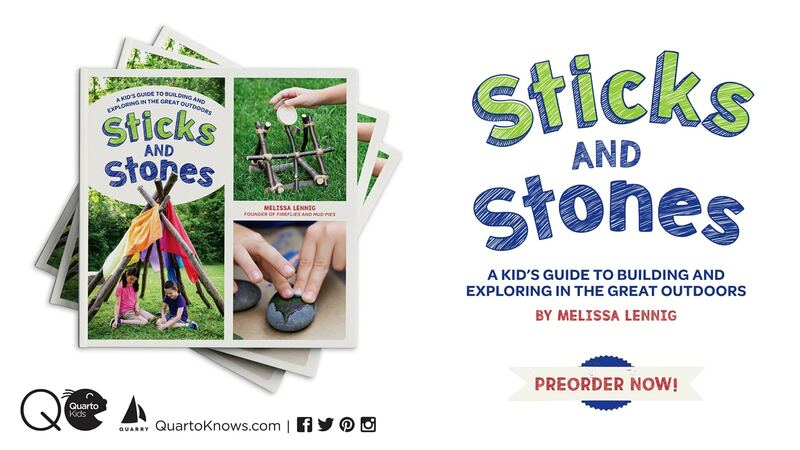 This craft includes a free printable template, making it perfect for kids of all ages. Back-to-school time can be just as stressful for teachers as it is for kids and their families. 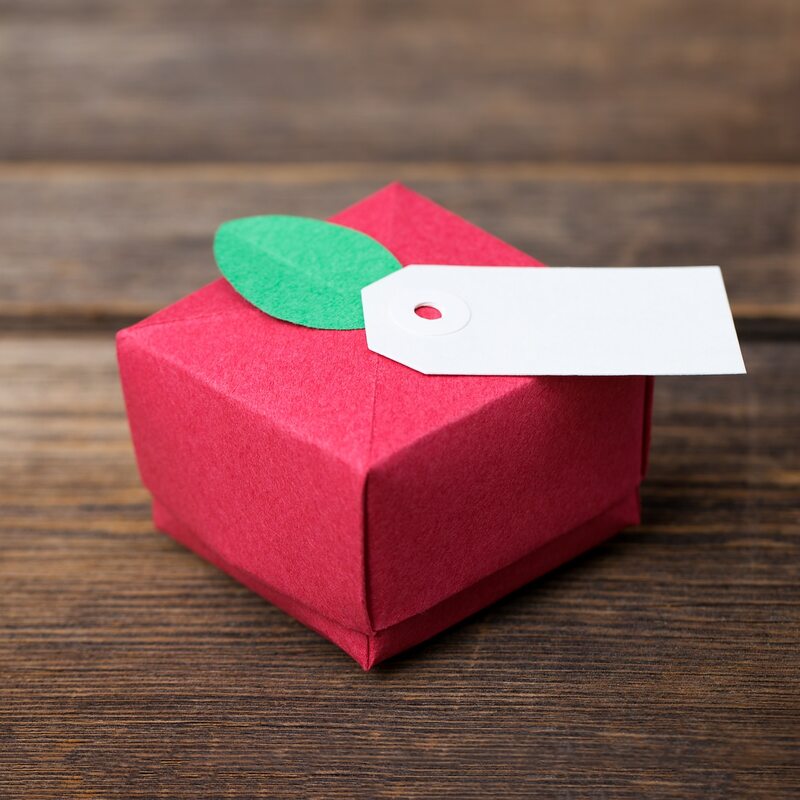 Help soften the transition, show teachers how appreciated they are, and make their first day of school the Best Day of School with an adorable paper apple box filled with a delicious surprise. Before deciding to stay home with my kids and blog full-time, I worked as an Elementary School Counselor. I loved my job, but let me tell you that it was a glorious day when the PTA announced that they had purchased a Keurig for the teachers’ room! After that day, every teacher I knew began keeping a stash of coffee pods in their desk. I love coffee, but what I love even more is the warmth of a steaming mug between my hands. The aroma of coffee in the halls and the laughter of children from classrooms made the school feel cozy and warm despite the icy Wisconsin wind outside. 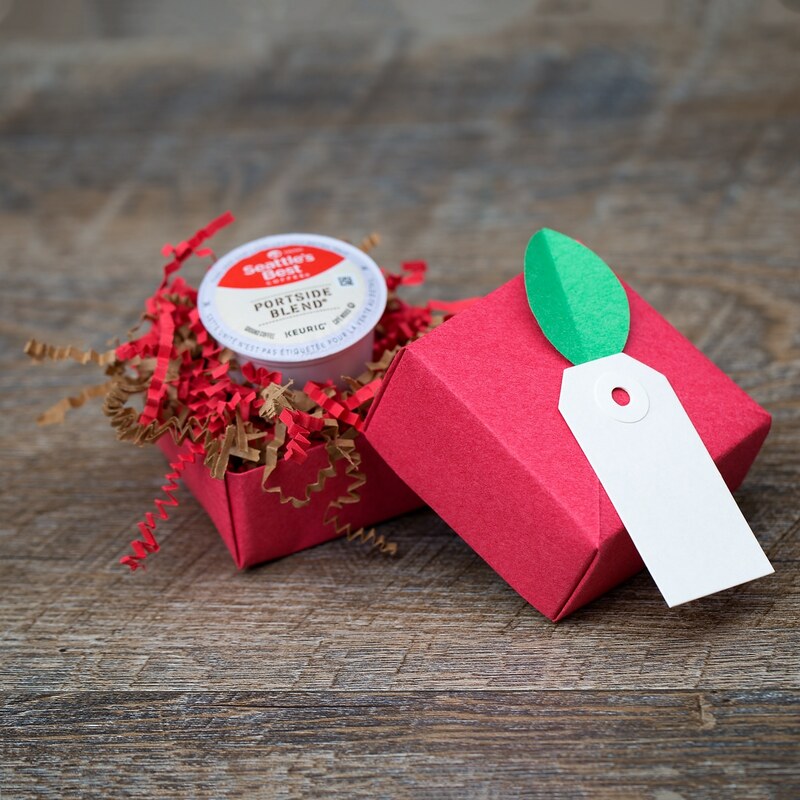 Every teacher needs a coffee stash in their desk, and what better way to share one than with an origami paper apple box? 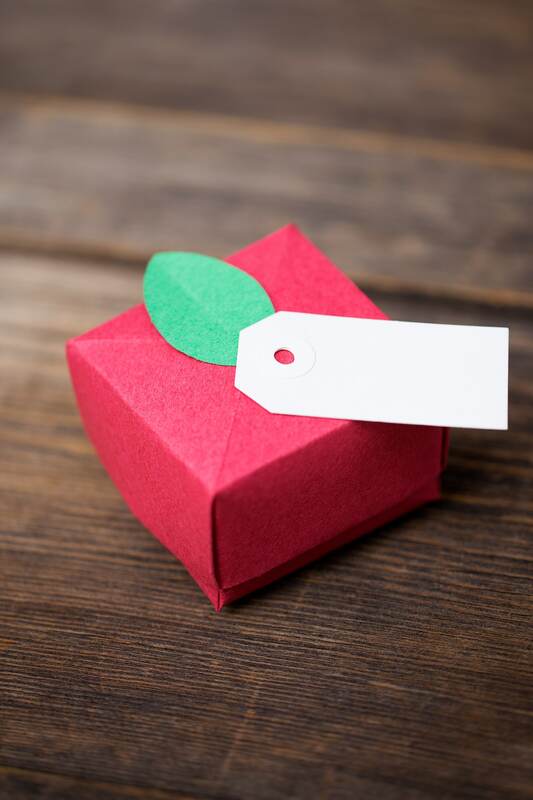 This paper apple box is easy and fun to make. Click over to the Best Day List from Seattle’s Best for full instructions. They’ve even included a free printable template, making this craft perfect for kids of all ages. The Best Day List is packed with full-color printables (like our favorite lunch box notes) designed with parents in mind to ensure that the first day of school is a memorable day bubbling with positivity, laughter, and love. While you’re there, don’t forget to print or download your $1 off coupon for smooth-tasting Seattle’s Best Coffee®. 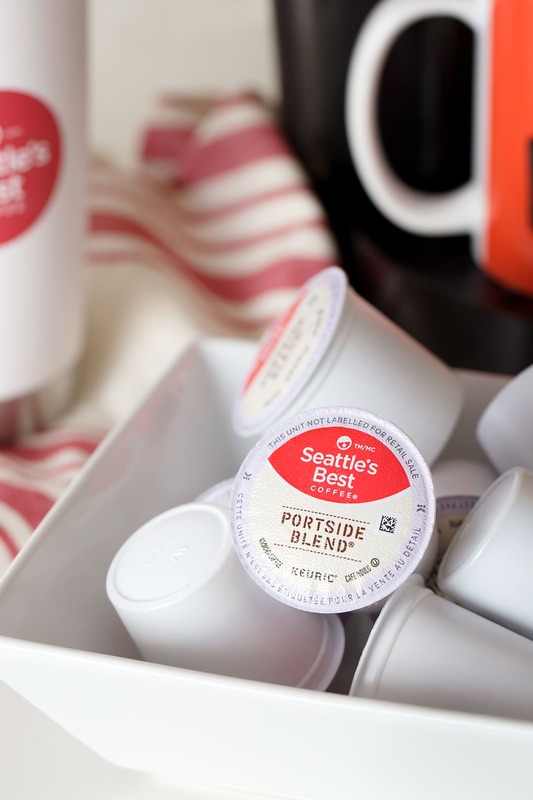 Upgrade your cup to Seattle’s Best Coffee® for only a little more. Then you can have a Best Day of School too! My printer was running low on ink, so I used the dimensions provided on the template to create an apple box with red construction paper. 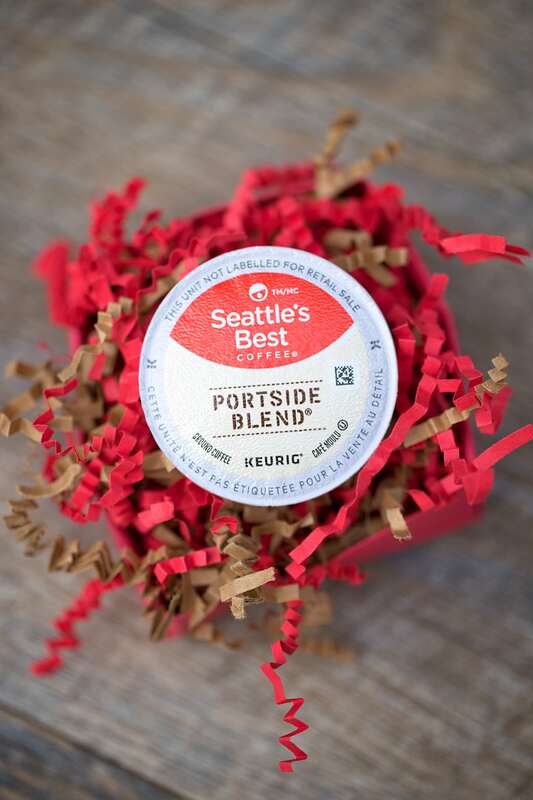 We filled it with red and brown crinkle cut paper shred and a single Portside Blend® coffee pod. My son’s teacher loved it!